I like the texture in this. Great abstract! Such a cool shot. Very rustic and makes you want to learn more about what the hinge it attached to. 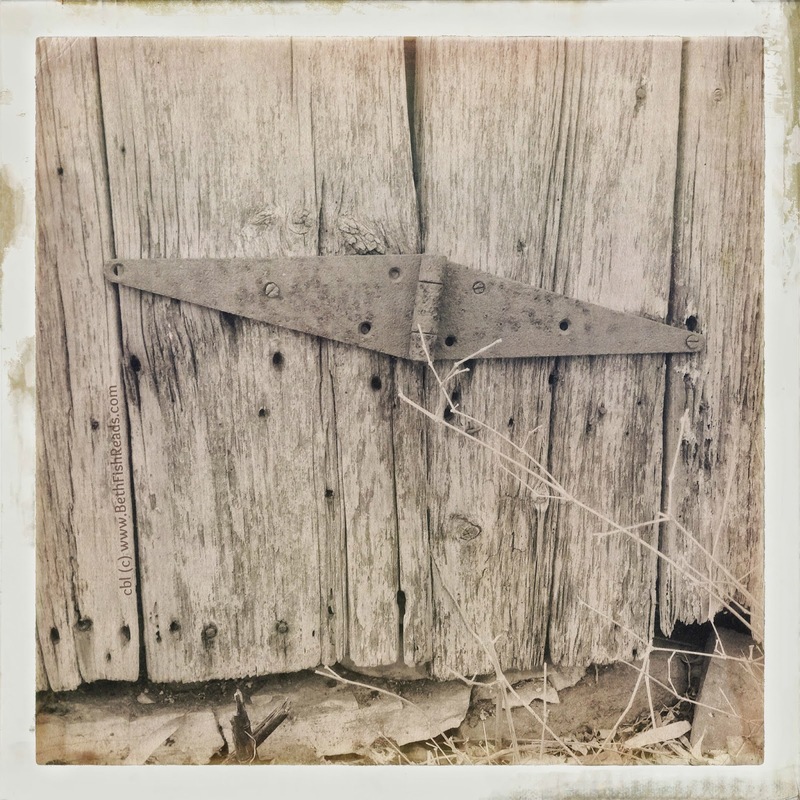 I'm thinking that hinge is more like circa 1930 - couldnt resist .. its a great shot ..
That old hinge is hanging on! Draws me in and holds me back all at the same time. You always find such great shots on your walks! Oh what an awesome shot that is!! Rustic! Looks like my garden shed. This is a fabulous capture. You have such a good eye for these things! Reminds me of the old barns around my dad's farm.